The Easter holidays are nearly here, and Spring is well and truly in the air. A sure sign for us to spring into action and give the family a great day out to remember. Easter fun and celebrations will be everywhere making this a cracking time to get out and about across Devon. There will be traditional Easter egg hunts and Easter themed trails. See the delight on children’s faces when they find the hidden eggs and you can even meet the Easter Bunny at some of the attractions. 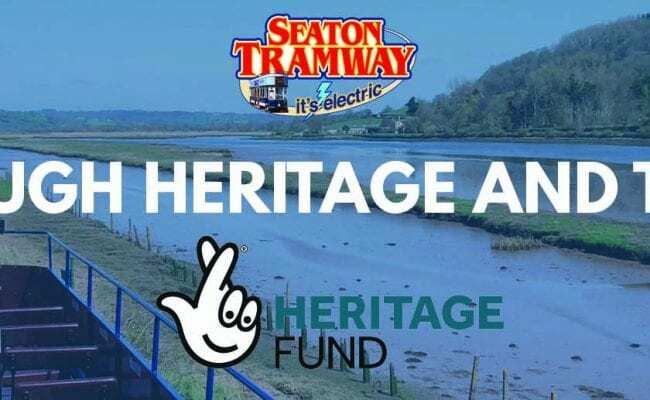 Seaton Tramway have an Easter full of egg-citement. On selected dates you can climb on board the Pirate Tram, the old ‘Seaton Pearl’, as she sets sail on her voyage to find treasure with swashbuckling Captain Nick. Dinosaur fans will be captivated with a journey on the Dinosaur Tram, where you can enjoy an adventure full of music, stories, fossil dig and dinosaur activities. Or embark on a spellbinding trip on the Fairy Tram, stretch out your wings and brush up on your spells as the Fairy Godmother takes you on a magical journey to the Fairy Kingdom. Head to the River Dart County Park over the Easter Bank holiday and take part in their Egg-straordinary Easter egg hunt with the Easter Bunny making an appearance too. Explore the park with your clue sheet and track down the hidden eggs to win a cracking prize. Over at Morwellham Quay they have an Easter Bunny Hunt on Easter Sunday and Monday. Get your little ones to find the bunnies hiding around the site. Join the costumed guides as they show you how life was as a Victorian. Become a Victorian school child, make a piece of rope, smash rocks to find copper and make your own Easter themed bread roll and chocolate lolly. Step into Spring at Powderham Castle for ‘Woolly Week’. This Sheep Show has captured the hearts of many. Enjoy the shearing demonstrations and entertaining commentary and there’s even a sheep show hustle. You can then head down to the walled garden and see all the adorable lambs and take part in the fun-filled themed trail through the gardens. There’s an Easter EGG-stravaganza Festival in North Devon at the Big Sheep with a whopping 30,000 mini eggs to find. So, don’t worry if the Easter Bunny doesn’t deliver eggs this Easter because the Big Sheep will have enough chocolate eggs hidden to share with everyone. 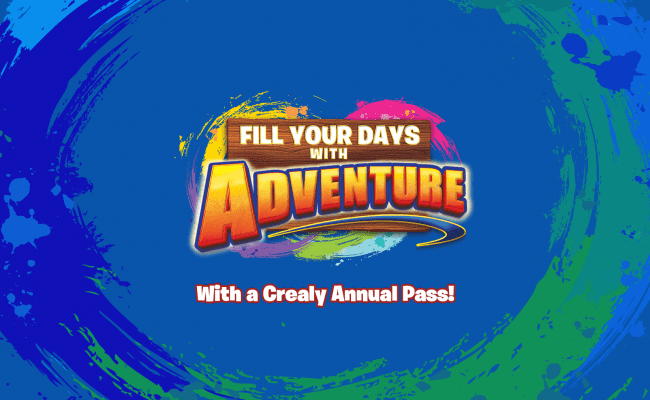 The attraction will be in full swing with their great selection of rides, attractions and great shows. The Easter bunny will be there at intervals throughout the day to meet and greet the children. Spring has sprung at Pennywell and they are ‘choc’-a-block with exciting Easter activities. They will have plenty of baby animals for you to meet and cuddle. 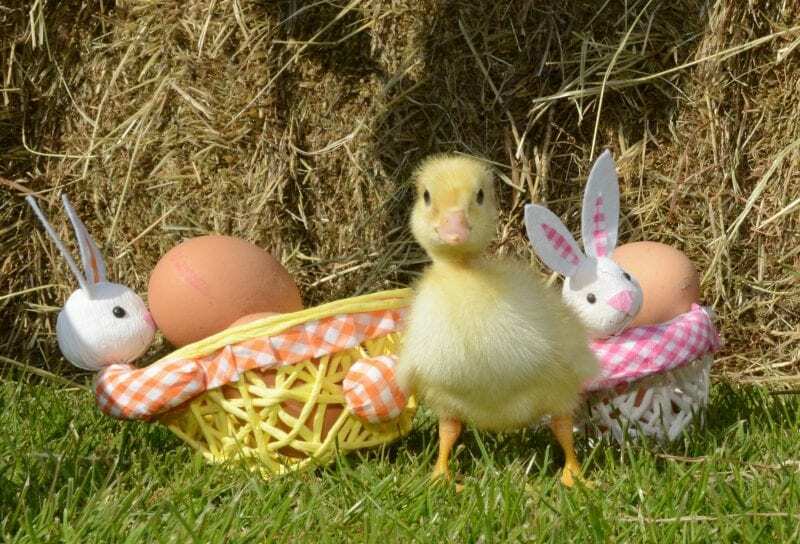 Milk the goats, pamper the ponies, race the ferrets, explore the Pennywell ponds and enjoy the Easter Bank holiday egg hunts. There will be Easter games and an Easter film in the Pennywell Theatre with twice daily shows, family entertainment at its best. Find the Easter chicks at Clovelly, spot 10 chicks for an Easter egg, spot 15 for a bigger prize. Use your map of Clovelly and find the locations of the Easter chicks perched up and down the cobbled High Street and down to the Quay. There’s a ‘Megga’ Easter going on at Crealy. The theme park will be fully open and all water rides including Tidal Wave, Vortex, Aqua Blasters and Soak Zone will be in full flow. If that’s not enough they have a ‘Megga’ Easter Egg Hunt. Find the magical eggs hidden using a special map and, once found, claim your very own chocolatey egg-ceptional prize. Plus, you can meet Peter Rabbit himself! 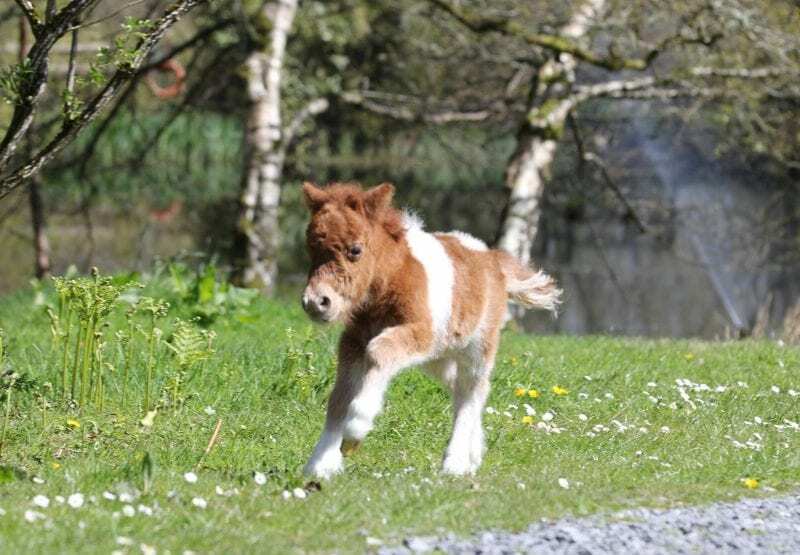 As the Miniature Pony Centre re-opens its doors for the new season, they have a number of special upcoming events to enjoy as well as some egg-cellent Easter family fun. In addition to all the Easter activities and an Easter egg hunt they have a Unicorn and Dragon day on the 10th April, a My Little Pony themed day on the 17th April and a Superhero Monday on the 22nd April plus all Easter activities. Egg-splore the miniature scenes and gardens at Babbacombe Model Village to see if you can find all the hidden eggs, but don’t go hopping through the park too fast as some of them may be egg-stremely hard to find. Or head to Canonteign Falls for a family day out full of Easter fun. Follow the Easter trail, find the willow T-rex and get hands on with the craft workshops. If you are feeling energetic you can climb England’s highest manmade waterfall. There’s a Cadbury Easter Egg Hunt at Killerton NT where you can bound around Killerton’s blossoming garden and parkland as you embark on an Easter adventure. Choose from two trails to explore either the garden and parkland or you can pull on your wellies, bring the dog and enjoy the Woodlands Welly Walk. You can do the Cadbury Easter Egg hunt over at Castle Drogo too or follow the Drew Family Trail around the garden. Learn about the Drew family and recreate their family photographs. 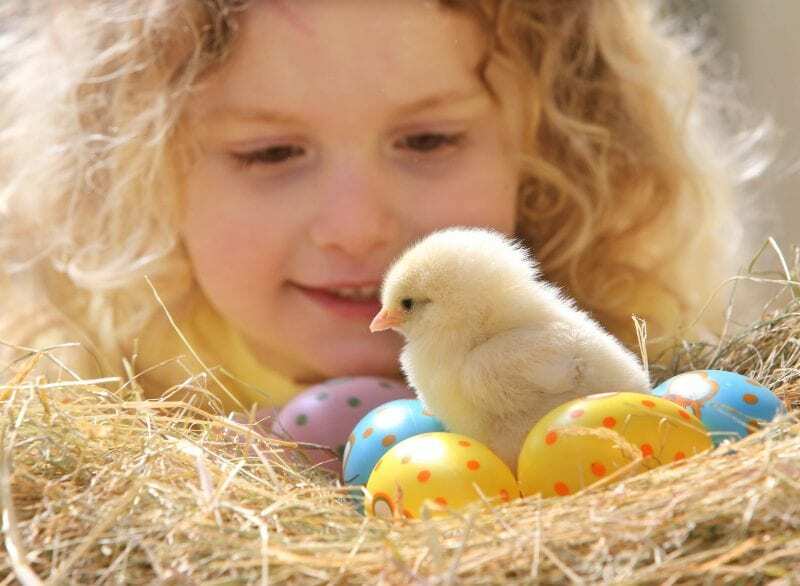 Loads of Easter fun for everyone can be had at World of Country Life, Exmouth. There’s a full programme of daily activities to give a full day out for all the family. Walk a goat, bottle feed a lamb, hand feed the deer, watch the Hawkridge Birds of Prey flying display, cheer on your favourite ferret at the ferret racing or cuddle a rabbit. Plus, the Easter egg trail over the Easter weekend gives you the chance to find hidden eggs and claim a tasty little prize. Head for Woodlands Family Theme park for an Egg-streme Easter. Visit the Easter Bunny’s grotto, travel through a land of chocolate heaven, take in the stunning views and see the magic world of Easter. Meet the Easter Bunny himself, collect your special gift and keep your eyes peeled for the thousands of chocolate surprise tokens around the park. Visit the falconry centre and see the Fizz Pop Science shows and the Woodlands Supastarz Entertainment Team on selected days throughout the Easter holidays. Head for the Milky Way Adventure Park in North Devon and journey down the rabbit hole to their unique Easter Grotto to meet the Easter Bunny. There’ll be a feast of chocolatey Easter fun laid on and you can take part in the egg-citing Easter Treasure Hunt. Plus, Star Wars fans will be able to meet the Storm Troopers and other characters on the 20th April. 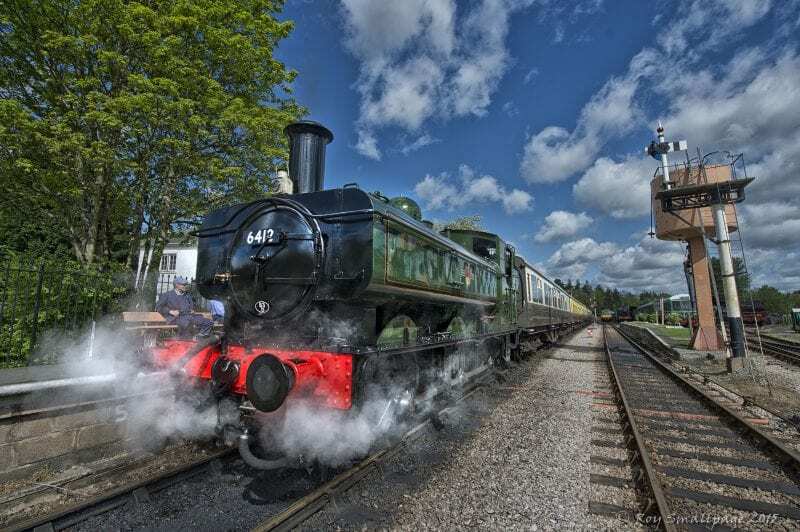 South Devon Railway will be celebrating 50 years on the track during Easter from 6th – 14th April with their Golden Anniversary Steam Gala. With many activities and events going on it promises to be one of the best weeks the railway has ever put on. It will be showcasing fifty years of steam trains in the Dart Valley with free children’s activities too. There’s an Easter Holiday Hunt at the Donkey Sanctuary. Take part in the special Easter adventure celebrating 50 years of helping donkeys and mules in need and claim a tasty Easter treat. Plus, animal fans will be able to take part in their special Junior Vet Day on the 11th April, designed for 11-15 years olds interested in a career in veterinary care. Head for Torre Abbey for a small but mighty festival in the heart of Torquay. Grinagog presents – Minigog 2019 on the 13th April. There will be family friendly activities during the day followed by an evening of live music and performances. There’s an Easter Eggstravaganza at Becky Falls and a wonderful array of activities planned. Take part in the egg-cellent Quiz with a prize for every child which includes a go on the tombola to win Easter eggs galore. Plus, there’s the hands-on animal encounter shows to enjoy and the ‘meet the keeper’ sessions. Why not visit Coldharbour Mill to experience the sights, smells and sounds of a woollen mill powered by steam? 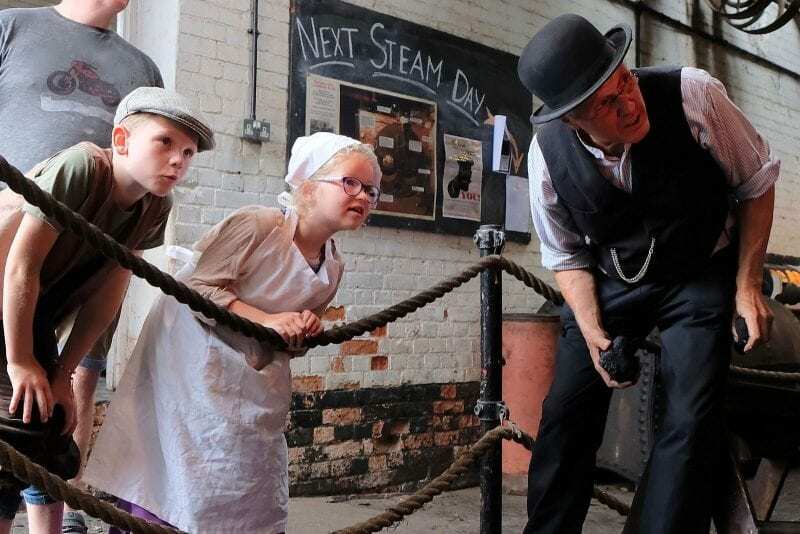 There will be demonstrations, taster sessions and special family activities over the Easter holidays and the Mill in Steam is on the 22nd April. Go underground this Easter at Kents Cavern! Fun cave tours all day every day with lots of Easter activities including the Dinosaur Quest – will you become a Dino Expert? To find out where all of these cracking Easter days out are taking place and for more ideas, check out the Easter events on the website.